My research was very rewarding because I learned so much about Nessie than I ever thought possible. I really felt like I was gaining a part of my Scottish heritage because to understand any heritage you need to know their beliefs and phenomena. This study of Nessie brought me closer to Scotland and for that I will be forever grateful. I was expecting my research to be really easy since Nessie is such a popular monster, but I was completely wrong. 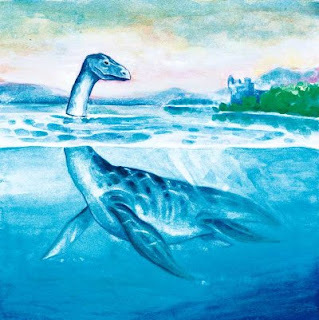 It is hard finding reliable sources on Nessie because everyone wants to have a say about the myth. I found it very easy to find articles and books that were credible and I could learn a lot of information from. However, newspaper articles and websites were definitely a struggle to find sources and credible ones at that. I could find relatively little in newspapers and it was only when I searched through our library databases did I find two articles. With websites I had to sift through many hoax websites out there to try to find the credible ones among the pack. Once I did find some credible sources, they provided a plethora of new information on Nessie. Another thing I found with my research was that a lot of the sources were written towards children. While they provided good information on Nessie, I was hoping to find more information that was geared towards adults. One of my favorite parts of the research was to make an edit to Wikipedia. I really enjoyed trying to figure out how to accomplish this and to see if my edits would be kept on the page. It was a fun assignment and really got me into the spirit of the research. Altogether, my research went well and I really enjoyed researching monsters, especially Nessie. She will always have a soft spot in my heart.